Meridian Development was founded in 2014 on a people-centric philosophy that guides every step of the company's endeavors. Our mission is to create projects and communities that enhance the lives of the people who live, work, and shop there. The principal partners at Meridian Development have built thousands of homes and believe our greatest asset, is happy homeowners. At Meridian Development we align our business relationships with likeminded companies that understand and take seriously the social contract that is inherently made through the creation of our communities, which is to responsibly develop lasting, environmentally friendly projects that our customers are happy to call home. A 36-year veteran of the real estate industry, Mr. Asaro serves as President and CEO at Meridian Development, in that capacity, Mr. Asaro manages all business related activities, acquisitions, and equity partnerships. In addition, Mr. Asaro steers strategic implementation of master plan communities and oversees master marketing at the company and project level. Mr. Asaro also serves as the RME for the company's general contracting entity, Meridian Building Services, Inc.
Mr. Asaro started Meridian Development after leaving the Corky McMillin Companies where he had been President of homebuilding operations since 2007. Prior to becoming President of McMillin Homes, Mr. Asaro held the position of President of Land Development for sister company, McMillin Land Development since 2004. He also served as a member of the Executive Committee for The Corky McMillin Companies, which guides the operations and strategic planning for the entire McMillin organization. As President of McMillin Homes, Mr. Asaro managed five regional home building divisions including Southern California, Central Valley and Bakersfield in California, San Antonio, Texas, and Branson, Missouri. He was responsible for all aspects of the home building operations including planning, product development, construction, sales and marketing and after-sale customer service, as well as mortgage and escrow services. While at the helm of the McMillin Land Development Company, he managed all facets of the operation including, land acquisition, entitlements, development and planning for all of the company's master planned projects. During his tenure as President, McMillin Homes managed revenues in excess of two billion dollars, delivered over 7000 homes, and facilitated third-party land sales in excess of five hundred million dollars. In addition to his professional responsibilities, Mr. Asaro has been very active in industry and community affairs within the San Diego Region. Mr. Asaro has been a long-standing board member on the Building Industry Association of San Diego where he served as the Chairman in 2012. In 2015, Mr. Asaro was inducted into the BIA Hall of Fame for his 27 years of service. Mr. Asaro is a past member of the Chula Vista Mayor's Task Force on School Issues, the Budget Oversight Committee for the Chula Vista Elementary School District and the SR-125 Development Task Force. Before joining McMillin, Mr. Asaro held positions with the Eastlake Development Company, Pacific Bay Homes, the Baldwin Company, and Pardee Homes. Todd Galarneau oversees the land development arm of Meridian Development and as such manages all of the company's master plan community activities including planning, entitlement, development, implementation, and disposition. Currently, Mr. Galarneau's primary focus at Meridian is overseeing the development of Millenia, a major master-planned community that will be a vibrant high-density, mixed-use community to be built on 206 acres in the heart of Otay Ranch over the next decade. The project is founded on sustainable environmental principles and recently received certification under the United States Green Building Council LEED-Neighborhood Development program. Once the project is complete, it is expected to comprise approximately 3,000 multi-family residential homes and 3.5 million square feet of non-residential property including office, retail, and civic uses as well as a fire station, cultural venue, city library and six urban parks. Prior to joining Meridian Development, Mr. Galarneau served as Senior Vice President of the McMillin Land Development Company. He joined the McMillin organization in 2003 after leaving his position as Principal Planner for the City of Santee Development Services Department where he served for almost two decades. Mr. Galarneau is a highly valued, 25 plus-year land development veteran with expertise in all areas of land planning and is especially skilled at handling environmentally sensitive issues. While at the McMillin Company, Mr. Galarneau oversaw the final stages of development of Lomas Verdes, a nearly 2,500-acre project that upon completion will comprise approximately 5,000 homes, as well as the Mater Dei Catholic High School, The Olympic High School, The Corky McMillin Elementary School, a 7-acre public park and several neighborhood parks. The community is adjacent to the Otay Ranch Town Center, an 850,000 square foot retail center and employment hub. Mr. Galarneau also represents the building industry on various development-related committees and activities. He recently served on the Regional Planning Stakeholder Committee providing input on the 2050 Regional Transportation Improvement Plan (RTIP) and the development of California's first regional Sustainable Communities Strategy. 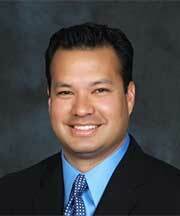 He also serves on the Board of Directors of the Chula Vista Chamber of Commerce and the South County YMCA. Mr. Galarneau is a past recipient of the San Diego Building Industry Association's ICON Award as 2010 Project Manager of the Year for San Diego County and recipient of the Chula Vista Chamber of Commerce's 2015 Presidents Award as Outstanding Business Leader of the Year. 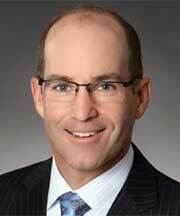 Rey Ross oversees Meridian Development's homebuilding division, Meridian Communities. Mr. Ross is responsible for acquisition, market analysis, design, budgeting and cost control, sales and marketing, and construction of all residential projects. Like the other principals at Meridian Development, Mr. Ross formerly worked at McMillin Homes as a Senior Vice President of Home Building. He joined the McMillin Companies in 2003 and was quickly promoted to Vice President while working in project management. Mr. Ross was responsible for the complete build out of over 1,500 homes and multiple recreation centers and parks across 12 neighborhoods and 4 Master Planned communities. In 2009, Mr. Ross was promoted to Senior Vice President and assumed responsibility for managing company-wide construction starts, sales, product design, home pricing, and closings across five divisions and three states. He worked closely with the President of McMillin Homes and the regional Vice Presidents of Sales for McMillin Homes' divisional offices located in Southern California, Central Valley in Northern California, San Antonio, Texas and Branson, Missouri. In this capacity, he had oversight for the pricing of over 50 residential projects company-wide. Along with his role as equity partner liaison on all joint venture homebuilding projects, Mr. Ross also provided competitive market analysis for each of the sub-markets, as well as feasibility and underwriting analysis for all new homebuilding acquisitions. From a land seller perspective, he was responsible for the product segmentation, pricing, and residual pro forma analysis of over 5,000 lots across three Master Planned communities in Southern California. Mr. Ross is an active participant and former Building Resources Council member for the San Diego Building Industry Association. Prior to joining McMillin Homes, Mr. Ross served as a Naval Officer and Aviator in the US Navy. He planned, coordinated, and executed countless logistical missions, embarking on multiple deployments, and operating out of numerous countries. Mr. Ross graduated from the United States Naval Academy in 1993 with a Bachelor of Science and received a Masters of Business Administration with real estate emphasis from the University of San Diego in 2003. Mr. Cogswell serves as Executive Vice President of Finance. In this role, Mr. Cogswell manages all of the financial, debt, and equity reporting for Meridian Development and its related entities. In addition, Mr. Cogswell is responsible for establishing and maintaining Meridian Development's fully scalable, back office, accounting, and IT infrastructure that allows for state-of-the-art financial control. Before joining the team at Meridian Development, Mr. Cogswell served as Vice President of Finance for The Corky McMillin Companies. 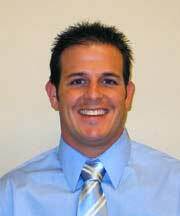 He joined the McMillin organization in 2005 and was employed by the company for 9 years. Mr. Cogswell was a valued member of McMillin's financial team, which was accountable for all aspects of the company's financial activities. As a Vice President of McMillin's Finance Department, Mr. Cogswell oversaw multimillion-dollar land development and homebuilding projects for the company. Additionally, he provided business plan development and modeling, as well as financial forecasting and feasibility studies. Mr. Cogswell also managed the corporate debt and equity structures and was responsible for investment analysis and reporting to owners, equity partners, and lenders for homebuilding, land development and commercial projects. Prior to joining the Corky McMillin Companies, Mr. Cogswell worked for Fortune 500 Company BAE Systems as a Financial Analyst where he was part of a select group that participated in their management rotation program. While in the program, he was actively involved in managing the financial performance of several multi-billion dollar aerospace and technology projects. 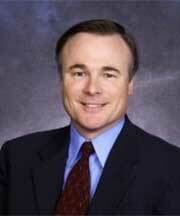 Mr. Cogswell is actively involved with Building Industry Association of San Diego. He graduated from San Diego State University with a Bachelor of Science degree in Business Administration with an emphasis in Finance. Millenia, the new urban city center of South County, located just south of Otay Ranch Town Center and east of SR-125, has commenced construction on five new for-sale neighborhoods by Shea Homes San Diego and Meridian Communities, featuring 20 floor-plans, and three new apartment neighborhoods by Trammel Crow Residential and Chelsea Investment Corporation. These new neighborhoods will augment the just completed Pulse-Millenia apartments by Fairfield Residential. "Millenia is rapidly coming to life," said Guy Asaro, president of Meridian Development, which is managing development of the 210-acre community that's destined to become the "downtown" of South County. "The best way to stay up-to-date on the exciting progress is to register at www.joinmillenia.com. "By the end of this year, more than 40 percent of the urban village will be sold to builders who will be bringing some terrific projects to the community, including Class A offices by Chesnut Properties, a town center by Sudberry Properties, a 140-room Ayres Hotel, luxury apartments by Trammell Crow Residential, affordable apartments for seniors and families by Chelsea Investment Corp. and two parks," Asaro said, noting commercial businesses at Millenia are estimated to create 10,000 jobs. "Our first residents have already moved into Pulse at Millenia by Fairfield Development, which is now leasing," Asaro noted. This luxury community of 272 apartments features a central plaza with pool, spa, sundeck, cabanas and showers, an outdoor fireplace lounge, fitness center, business center and other amenities. Apartments are available in one-, two-, and three-bedroom designs, starting in the mid $1,700s range. "From day one, Millenia residents will benefit from our pedestrian-focused environment. Millenia residents can walk across the street to get groceries, do their banking, shop and dine at the Otay Ranch Town Center," said Asaro. "And as Millenia progress continues, the lifestyle and conveniences for residents will only get better." "We are really excited about our second quarter of this year, when we look forward to opening the Information Center at Millenia, as well as revealing our first park, which is adjacent to Pulse-Millenia. Our 1.7-acre Stylus Park will feature and interactive fountain, bocce courts, dog parks and a playground." Stylus Park is the first of six intensely amenitized urban parks in Millenia. The themed parks are strategically located, so every resident will be within a three-minute walk of a park. "The homes being offered for sale at Millenia represent the latest innovations in urban-styling, sustainability, and comfort," said Asaro. The exciting mix of for-sale homes, which will range from around 1,288 to 2,248 square feet, offers a wide variety of designs, including single- and multi-level condos, triplexes with rear yards, two-story townhomes and detached homes. Sales are scheduled to start in the summer for Meridian Communities' three attached condo neighborhoods designed by the award-winning architectural firm Woodley Architectural Design. Metro will offer 72 two-story townhomes, ranging from approximately 1,300-1,500 square feet. Trio will feature 66 two-story triplexes, ranging from 1,650 to 1,880 square feet, with private rear yards. Meridian's largest homes, called Evo, are designed with a very urban aesthetic, cutting-edge architecture and balconies that seamlessly extend the living spaces into the outdoors. Ranging from 1,680 to 1,950 square feet, Evo features a floor plan that will appeal to multi-generational families, as well as a stunning single-level penthouse on the third floor, accessed by a private elevator. "Homeowners at Metro, Trio and Evo will share a beautiful resort-style pool area with an adjacent tiered grass area, gathering spots for outdoor dining and get-togethers," said Rey Ross, executive vice president, Meridian Communities. Shea Homes San Diego will introduce two neighborhoods at Millenia this fall. Element will feature 70 urban-style detached homes that range from 1,775 to 2,248 square feet with up to four bedrooms. A condominium neighborhood called Z will feature homes ranging from 1,288 to 1,495 with two or three bedrooms. "One of the cornerstones of the 'The Shea Difference' is thoughtful design," said Vanessa Linn, vice president of sales & marketing for Shea Homes San Diego. "Our architecture for Element and Z is very urban with a mid-century clean-line look and feel. We believe that home buyers from all over San Diego County will want to see this new style, which carries an affordable price point starting the $400,000s," she said. Contemporary Row homes affordably priced and style-centric. Metro's attached 2-story homes offer a variety of efficient floor plans ranging from approximately 1,298 to 1,495 square feet, including a 2 bedroom dual-master suite layout and a generous 3 bedroom end unit. Meridian Development was formed in 2014 by four principal partners who, prior to starting the company, each held senior leadership positions at the Corky McMillin Companies, a 55 year-old, San Diego-based land development and home building firm. Each partner brings to Meridian Development their own unique area of expertise and portfolio of real estate experience. This blended knowledge of the real estate development industry has positioned Meridian Development from its inception as a premiere and highly sought after land development and asset management company. The team at Meridian Development, which has been instrumental in the creation and implementation of several major development projects across the country and has been responsible for over a billion dollars in retail land sales in previous ventures, are now combining their resources to create a full-service land development concern specializing in all aspects of the business from initial site acquisition and finance, to complex land entitlements and processing of environmental and government permits, to large scale physical land development, and build out. Meridian Development has a results-driven, relationship-oriented approach with the proven experience to incorporate the best existing business practices with the most effective innovations to create communities that will endure and be enjoyed by generations to come. Welcome to a hip, 21st-century-style urban village that's a walkable domain. This is a place that takes the way people want to live, work, play and learn and mixes it up to create something totally new. Millenia will be a fusion community—a mix of different cultures, different ages—singles, couples and families. Life will be anything but predictable. The backdrop for this rich life is a stylish streetscape of contemporary architecture built on a human scale. Community parks and public plazas provide a third space—not work, not home—but another inviting place to meet with friends and gather with neighbors. Eclectic restaurants, sidewalk cafes, and an almost infinite stream of events, festivals and art shows provide new experiences and make people excited for more. Welcome to Millenia. Life has a new hub. Branson Creek is a community of new-home neighborhoods and custom lots, with top-notch recreational amenities, championship golf courses, and a private airport right on site. Here, set among the natural beauty of the Ozarks, Branson Creek affords the luxury and convenience of a well-planned community with a solid commitment to preserve and protect the rugged beauty of Southern Missouri, inclusive of hundreds of acres of wildlife habitat. Offering a variety of homesites upon which you can build your dream home, Branson Creek is the perfect choice for those looking for a vacation home, to relocate or retire. The Communities at Branson Creek offer an unparalleled lifestyle in the Midwest. With proximity to Branson's exciting theater and entertainment districts, lake recreation and the solid mid-western values reflected in our importance of community, Branson Creek offers it all. Thank you for contacting Meridian Development. If you have submitted a question, a representative will contact you shortly. We look forward to helping you with all your new home community needs. Thank you for your interest in Meridian Development. Please use the form below to send us a message or to make an inquiry. Someone from our office will respond as quickly as possible. Tap the map below for directions to our main office. ©2016 Meridian Development | site by PMA Advertising, Inc.